Synopsis: This is not your average damsel-in-distress princess story. 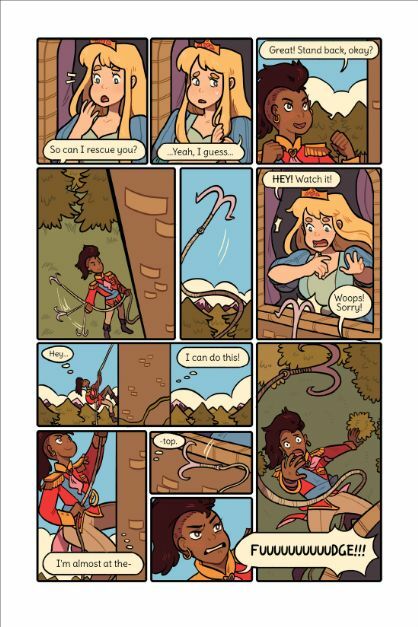 For one thing, the rescuer of the princess stuck in the tower is...another princess, a brave and determined one with cool hair on her own quest to prove herself. For another, the princesses end up being the ones to go on and rescue a prince. But really: who needs a prince at that point, right? Don't worry, he has a role, too; just not the one you might expect from the old-school fairy tales. Princess Princess Ever After was one of the Cybils finalists this year for Elementary/Middle Grade Graphic Novels, and it's a fun and funny story that overturns the traditional fairy-tale tropes. Almost all of them, anyway--everyone still lives happily ever after, but the take-away here is that not everyone has to have the SAME old ever after. 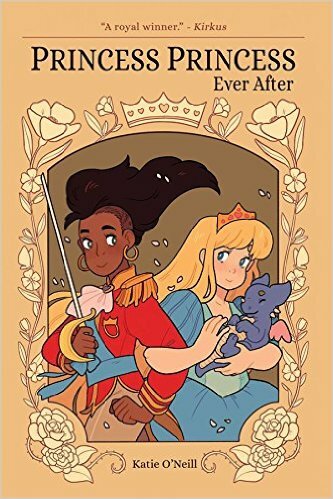 Observations: Not everyone is into princess stories or fantasy adventure, but this one is definitely action-packed enough to please readers who do enjoy a good fantasy. Warning: spoilers ahead...(though the title of the book already hints at the ending anyway...so maybe the spoilers aren't that spoilery). 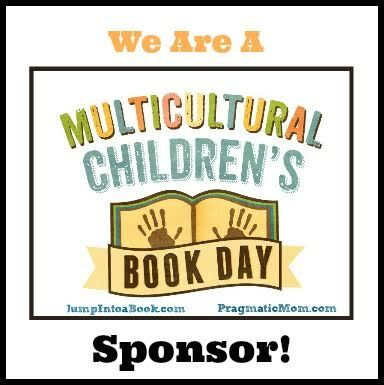 Young readers will enjoy the humor and hijinks aspect, and the little pudgy dragon who saves the day is adorable. It was a cute twist to have the princesses rescue the prince, and then marry each other in the end—empowering and LGBT-positive as well as body-positive (the two princesses are different shapes and sizes), with a main character of color, so bonus points for diversity. It wasn't an incredibly deep story, but it was fun. In terms of the graphic storytelling, I noticed a few minor issues with pacing and readability here and there, but the art was colorful and cute, especially if you are a fan of the manga style of character art (I'm really not, but I don't necessarily hold that against a perfectly entertaining book :)). Conclusion: This is a great title to hand to young people who like fairy tales, and I can see it having reluctant-reader appeal, too, with its bright colors and silly humor. I received my copy of this book courtesy of the publisher. You can find PRINCESS PRINCESS EVER AFTER by Katie O'Neill at an online e-tailer, or at a real life, independent bookstore near you!